Have any personalised message hand stamped onto a sterling silver bangle, these are made to be a little bit wonky and organic with a hammered finish. You can fit approx 20 words onto 1 side. 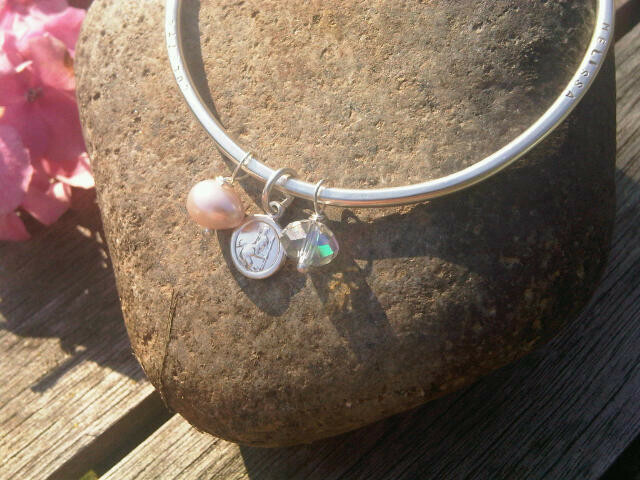 If you'd like a little charm just add it to the shopping basket, they can have a word or two stamped on each side if you like. 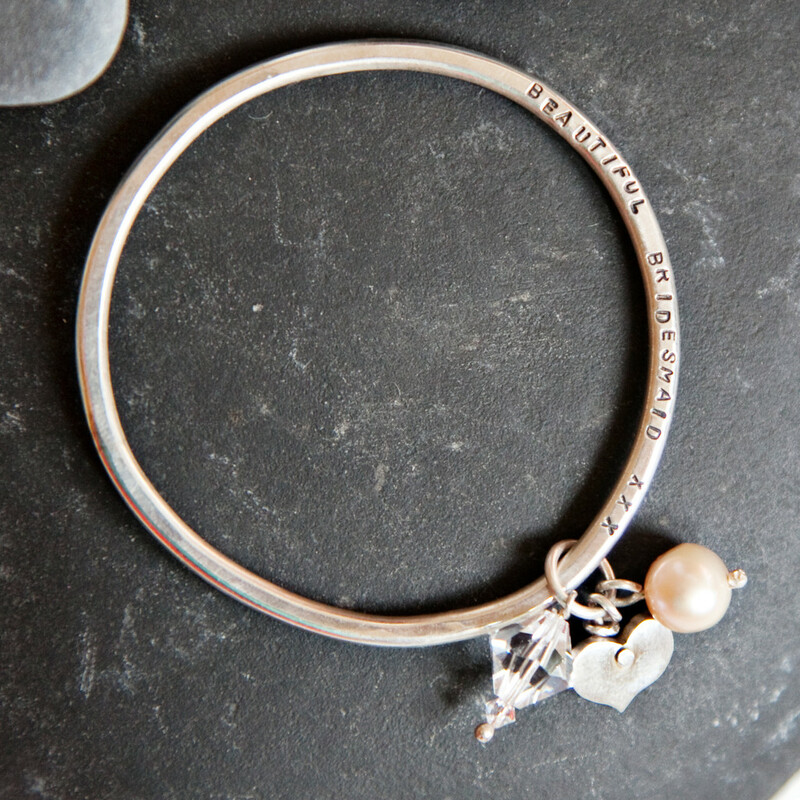 Each Lyric Bangle is custom made to order using 2.5mm Sterling silver wire, the letters are hand stamped onto the metal so you can have any message you like. 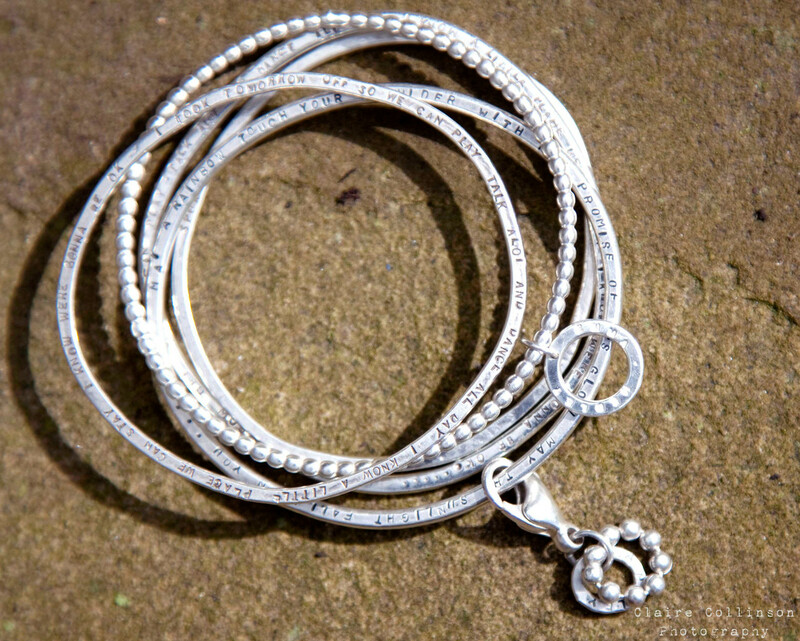 These make beautiful gifts and look fab stacked up! 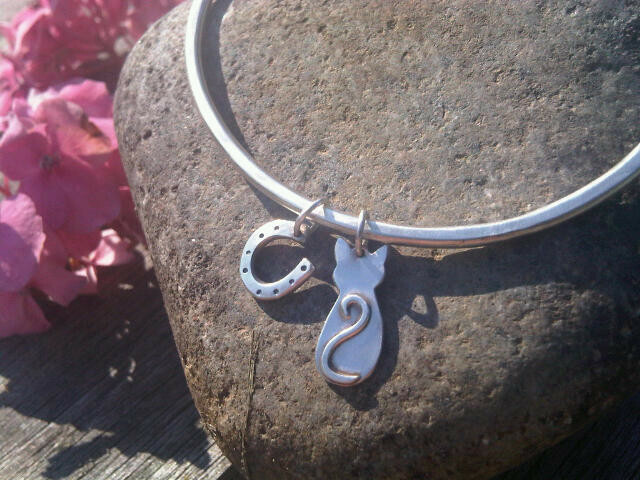 They are made to measure so you can have any size you like, they can also be made in gold if you prefer. 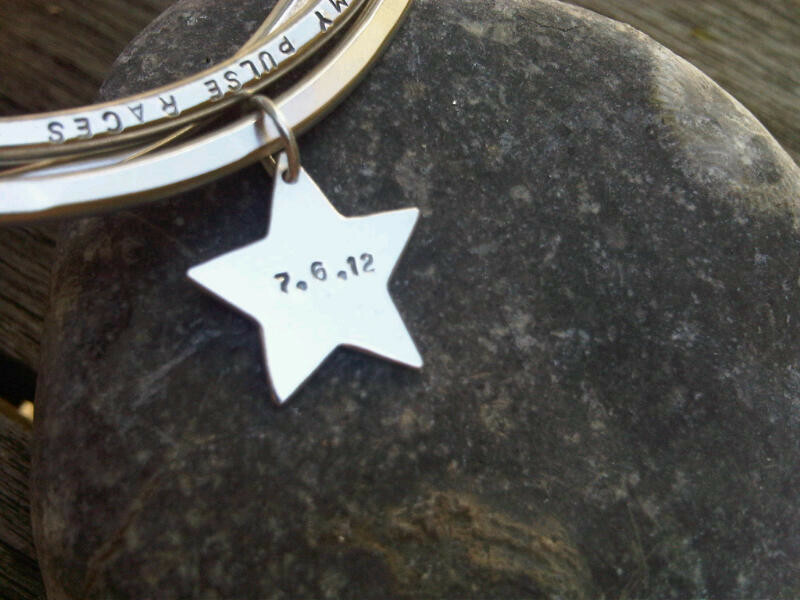 You can fit approx 20 words onto one side of an average bangle, each letter is 1mm wide. 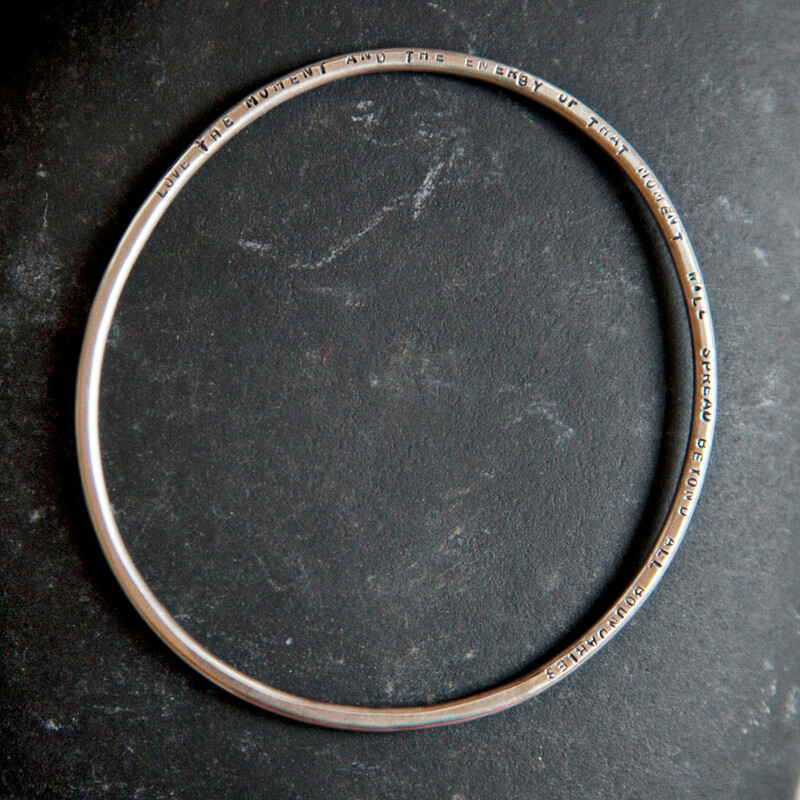 To work out what size you need, either measure the inside diameter in millimeters of a bangle that you know fits. Or measure around the widest part of your hand, around the knuckles with a tape measure- whilst sqeezing your hand as if putting on a bangle. 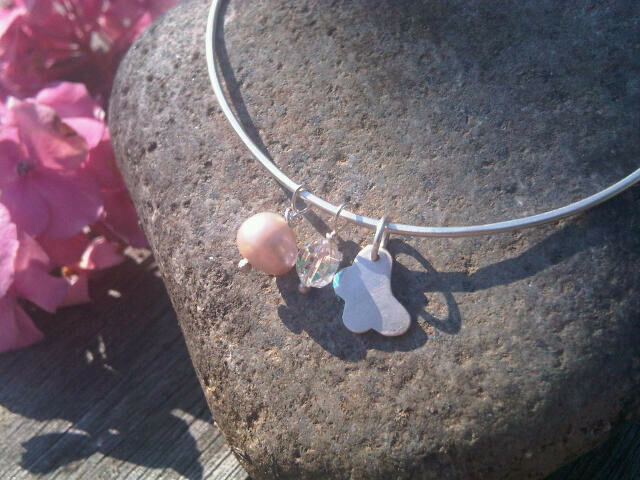 If it is a gift, then look at the persons hands you'd like to buy a bangle for; do they have particularly broad hands? Maybe you could check what size rubber gloves they wear!!! Do they wear any bangles already? 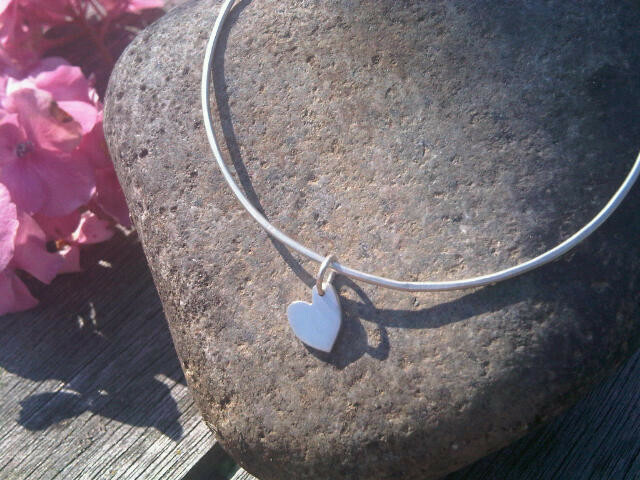 If they do wear bangles from high street shops then they will most likely fit an average bangle. 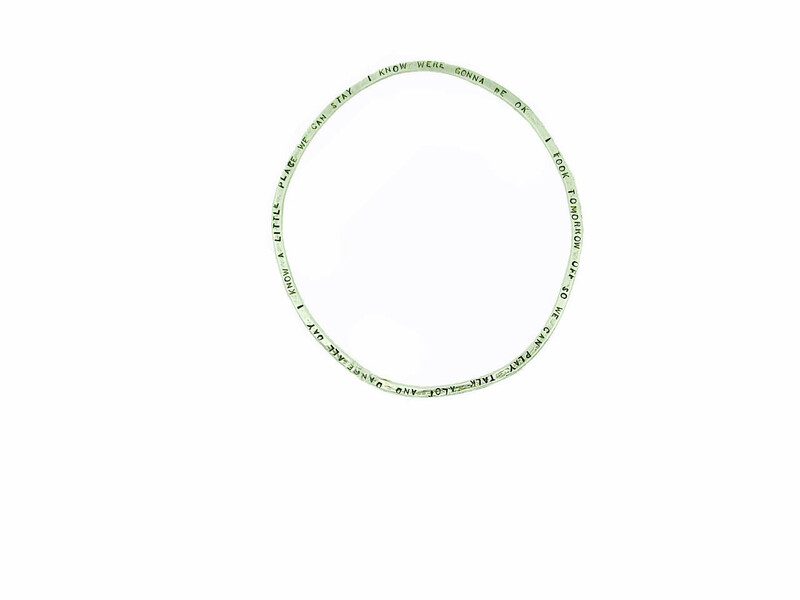 If they don't usually wear bangles, it may be that they can't get any to fit from the shops- so try and see if it's because high street bangles are usually too big or too small. 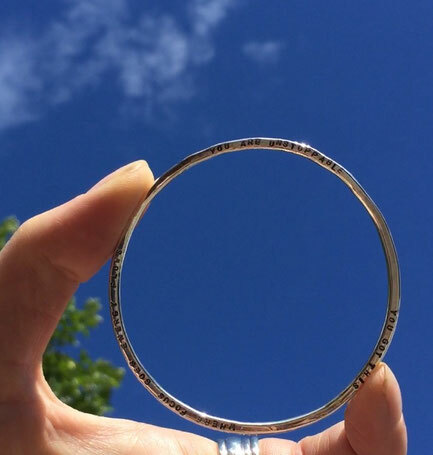 If you buy a bangle as a gift and it doesn't fit, then don't worry they can be re sized, it will cost £20 + £5.95 postage to resize a bangle. If you're still stuck, just get in touch and we'll help you find the perfect message!